In the U.S., about 85 percent of car buyers take out loans; in China, about 90% pay cash. BEIJING (Bloomberg) -- Pi Wenhui would have bought a 249,800 yuan ($36,600) Mazda if she had gotten a loan. She couldn't, so like 90 percent of Chinese drivers she paid cash -- and bought a cheaper car. Carmakers including Ford Motor Co., Nissan Motor Co., Beijing Automotive Industry Holding Co. and Guangzhou Automobile Group Co. are anticipating that will change as China's government is set to introduce policies to encourage auto lending in the world's largest car market. “We see a lot of potential in auto financing,” Joe Hinrichs, Ford's president for the Asia-Pacific region, said in an interview at the Beijing auto show. Automakers estimate sales growth in China will slow to as little as 10 percent next year from as much as 20 percent this year and 46 percent in 2009. 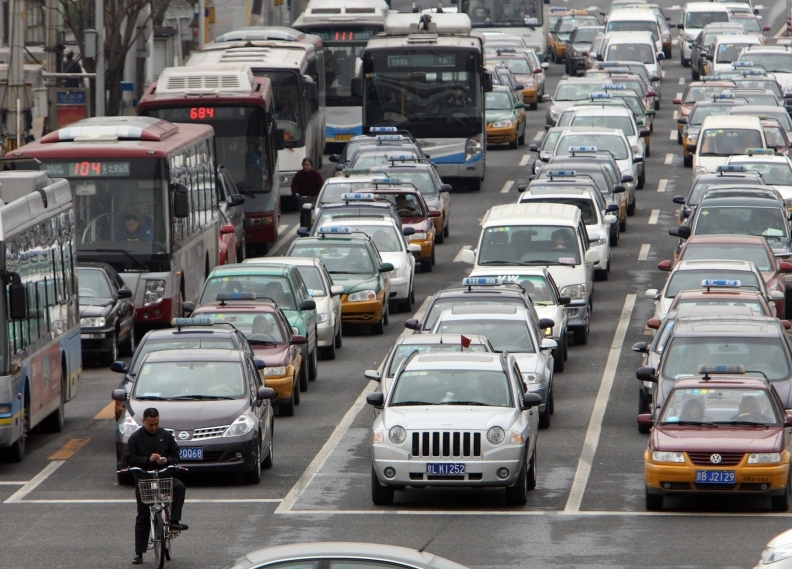 Enabling more of China's 1.37 billion people to borrow for vehicles would have a “big stimulus impact” on sales, Xu Changming, research director at China's State Information Center, said in Beijing last month. In contrast to China, 85 percent of car drivers in the U.S. take out loans and 65 percent of buyers in India borrow, according to the State Information Center, a government advisory body. The government may introduce policies to boost auto lending this year, including making it easier for car financing companies to raise capital by selling corporate bonds, the center's Xu said. Guangzhou Auto, a partner of Honda Motor Co. and Nissan in China, plans to open an auto financing unit this quarter, General Manager Zeng Qinghong said. Beijing Auto will begin offering financing this year, President Wang Dazong said. Ford, General Motors Co. and Toyota Motor Corp.'s local financing units provide loans to consumers as well as dealers, including those that are unable to borrow directly from banks. Chen Guangjun, general manager of the Beijing Zhong Ye Toyota dealership, said about 12 percent of his customers buy on credit. The outlet accepts applications that are ultimately handled by Toyota's financing unit. Honda doesn't have a financing business in China, so dealers such as Beijing Fanlv Business & Trading Co. introduce buyers to a bank if they need loans, general manager Wen Hai said. In China, 80 percent of auto loans come from banks, while in other countries 80 percent are from auto financing companies, the State Information Center's Xu said. The government is considering encouraging auto loans even as it targets a 22 percent reduction in overall new lending from a record $1.4 trillion last year. Earlier this month, the government announced curbs on loans for third-home purchases, increased down payment requirements and higher mortgage rates as it stepped up efforts to prevent a bubble. Persuading customers to take out loans may be challenging because the Chinese traditionally use cash for big-ticket purchases like cars, CSM's Yale said. Boosting financing may also require making it easier for customers to get credit approval. Because reliable credit information on consumers is often lacking, some banks hire outside specialists to gather information about applicants, said Beijing Fanlv's Wen. Sometimes the specialists go to the applicant's house or workplace to gather and verify information. Pi, the would-be Mazda buyer, gave up trying to get credit for a Mazda6 car. To get the loan, she needed to own real estate in Beijing, which she doesn't. If Pi, 28, wanted to use her parents' property as security for the loan, the bank would need to pay home visits to both her and her parents to interview them, she said. She disliked the idea as her parents aren't used to buying things on credit, she said. Pi also decided against using a friend who owns property as a guarantor, because the car would then need to be registered in her friend's name. She didn't qualify for a credit card suggested by the Mazda dealer.